With Project Cassandra edging ever closer to completion I’ve been given some thoughts as to what I want to work on. The length of the list was rather surprising, I didn’t realise I had accumulated notes for so many ideas already. Niska’s Race – A Firefly Adventure. Having run this at multiple conventions it’s about time that I wrote this up and put it online for others. I’ve got a partial draft of the adventure, what it really needs is some focus on the structuring and what information needs to be presented for others to run it. Demon Hunters Adventures – Again adventures I’ve run in the past that I’d like to get out for others and again I’ve already got a partial draft to work from. For these I’d love to be able to get them released on drivethruRPG as some sort of semi-official / recognised adventure for the system. First step though is writing then I can worry about layout / publishing. Neon Blades, cyberpunk reality TV – Aim is a lightweight system with a focus on the idea of looking good over all else, hence the idea of some sort of reality TV show focused on a team of operatives. I’ve got the initial outlines of a system but it’s lacking any details, so in keeping with the theme of style over substance for now. The Fallen Mountains – I’d still like to flesh out my Legend of the Five Rings setting to the point of it being a resource for a future game. Likely to be a slow ongoing process as I detail characters, events and locations. The Delve, Leverage / Cortex+ hack – The idea for this actually came from a series of images I got through JEShields stock art patreon. The idea is of a group of fantasy dwarves trying to break into a wizards vault. Thinking more along the lines of D&D style fantasy than Tolkien with magic being relatively common. At the moment just an idea, first step will be to go over the original game again and see how much can just be used as is. Cortex+ hack based around the adventures of soft toys – Another vague idea for the moment, could probably be achieved with just some custom distinctions and renaming of a few elements. Originally inspired by a DoubleClicks song called Lullaby for Mr Bear. Powers, PbtA followup to Project Cassandra. Again a vague idea for a thematic follow-up to Project Cassandra using a hack of the Apocalypse system dealing more with the consequences of gaining powers in a world dominated by global conspiracies. Will hopefully incorporate some ideas from an old Cortex game where powers regularly went out of control with devastating and tragic consequences. I posted a quick collection of thoughts regarding Dragomeet 2016 over on my G+ page but I wanted to give the Project Cassandra feedback a post to itself. The setup for the game was the same basic questions that I used during the Stratigicon playtest, that Apollo 11 had discovered something and President Nixon was due to be assasinated prior to announcing the discovery. The discovery this time, shapeshifting aliens on the moon who had already infiltrated the USSR and were now trying to take over the US government. The assasin was non other than the vice President who had already been replaced. Thrown into the mix was a Soviet Null, immune to the powers of the party (but not, as it would turn out, regular bullets). The adventure went by fast. Too fast, as the players blew through every challenge with ease thanks to a combination of difficulties that were too low, great teamwork and some amazingly inventive use of Powers. The primary feedback was pretty unambiguous, actions weren’t challenging enough, which resulted in the group not failing for the first two thirds of the game. This had a knock on effect in that it prevented other mechanics from coming into play, namely conditions and spending premonitions on re-rolls. It was only towards the end of the game that I started raising the difficulty that we started using all of the mechanics but by then it was too late to have a major impact. The second negative was with the skills themselves and compounded my GM error with the difficulties. Essentially the players found that they either had too high a skill level for a given task or were lacking the skills entirely (and therefore didn’t attempt actions). This is something that has come up in playtests before and I had hoped that the current skill list addressed it. Unfortunately this does not appear to be the case. It’s a blow to get this close to having the game finished before running into a major issue but on the other hand I’m glad it went badly. It’s the first major catastrophe I’ve had but it also feels like it is workable rather than an impassable issue. Beyond this the feedback was quite positive. The players enjoyed the scenario and being able to influence it through the questions plus liked the fact that the powers weren’t mechanically constrained to prevent them being overpowered. As these are all aspects I’d put thought into I’m glad that the players picked up on my design aims. Following the game I’m also convinced that the single scenario design (of saving the President) was the right approach. Once the game is finished I may add a bonus sheet on running additional highly defined bonus scenarios (I already have ideas for one based around the Berlin Airlift). I’ve been pondering how to change the skills since Dragonmeet but before I dive too deeply into it I thought it important to look again at the probability tables, the results of which are plotted below. The x-axis plots the number of successes and the y-axis the percentage chance of rolling at least that many successes for a given skill level. Looking at those numbers it’s clear how off my perception of the difficulties was. With a skill level of 3, which the players were regularly achieving, there is still a 66% chance of rolling 3 or more successes. In my head 3 successes should have been difficult and definitely not in their favour so often. Those odds rises to a staggering 90% at a skill level of 4 and drops to 32% for a character with a moderate skill level of 2. The second approach is a limit on the maximum skill level of a character. The players at Dragonmeet suggested setting it at 3, which I’m thinking of implementing. At this level a skilled individual will pass a Challenging roll most of the time but still fail at a noticeable rate. The biggest change, which I’m still working on, are the skills themselves. Under the current design players add up related specialities to get their skill level and tend to either end up with a high level or none at all. If I keep the current system the specialities need completely rewritten to provide a wider breadth skills with only a small number that overlap enough to give a high skill level. The alternative is simply list a set it skills with a rank by each of them. That has the advantage of simplicity and also makes it easier to deal with edge cases as I can give each skill group a rank for when no specialities apply. For example using brute strength might just fall under the general umbrella of the Physical skill set at rank of 2 for the strongest and 0 for the weakest. The downsides of this approach are flavour and rigidity so more thought will have to go into it before I settle on one over the other. I may also split the skill groups further by adding Social to the existing mix of Mental, Physical and Specialist. All in all I’ve got a lot to think about and a valuable learning experience for future projects. The timing of this clip coming out was rather appropriate given I was sitting down behind the GM screen this week to run Firefly. It’s been a while since I ran a game, in fact it’s been almost a year. The last time I ran anything was at excellent Strategicon Gateway convention in California, LA. Unfortunately I can’t afford to fly out there again this year so it seemed fitting that my first time back in the GM seat I ran the Firefly scenario I ran there. The scenario, entitled Niska’s Race, is one I’ve now run about half a dozen times, so I’ve been able to flesh it out enough that there are a selection of possible scenes and complications I can introduce depending on the actions of the players. This time I had only two players and just under 3 hours to teach the system and run the adventure so the prior run throughs meant I could strip back anything that might prevent derail finishing on time. Running the scenario multiple times also means I’m in the interesting situation of getting to see how different groups approach it. I always try and lean towards the ‘present a problem without having a defined solution’ style of GMing, it encourages player creativity and involvement and this scenario is proof of that. Each and every time I have run the game it has turned out completely differently. I’ve seen players (using the same set of pregenned characters) go for smash and grabs, stealth infiltrations or seduction to get to their goal. Betrayals, bribes and beat downs have all been employed in different run throughs of the same scene making it a new game for me, the GM, every time. Best of all I’ve been able to see half a dozen set of reactions to the scenarios twist, all influenced by the choices of the players. It’s an immensely satisfying position to be in as a GM and one I’m looking forward to replicating with the next adventure (working title “Big Blue Fish”, my old group should know exactly which scenario I’m talking about). The Cortex Plus Hacker’s Guide by Margaret Weiss Productions is, as the title suggests, a book all about hacking and tweaking the Cortex Plus system. The book collects together a series of essays written by both the Cortex Plus creators and fans and published following a successful Kickstarter project. It is available now through DriveThruRPG. As a big fan of the Cortex system and of hacking games in general this wasn’t a product that I wanted to miss out on so I got in early on the Kickstarter for both PDF and print copies of the book, though as seems to be the case with RPGs on Kickstarter the print copy has been delayed and has yet to be delivered. 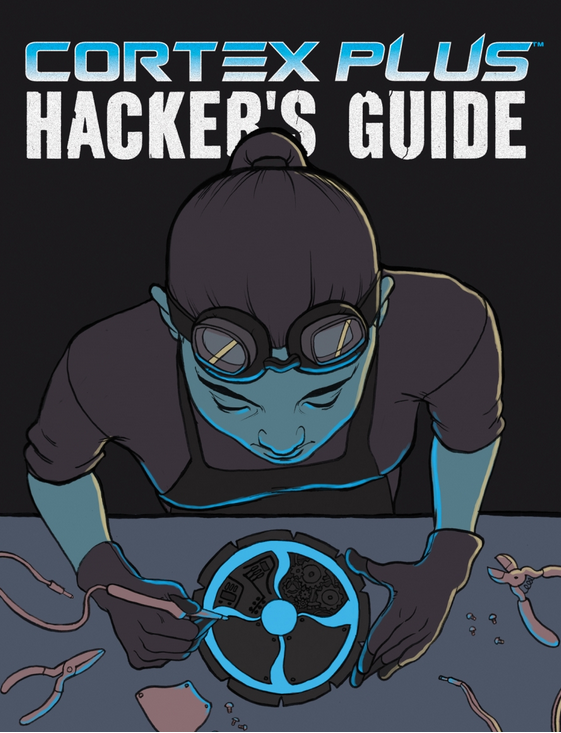 The Hackers Guide breaks is comprised on three main sections, Mechanics and Structure, Game Hacks (further divided into History and Fantasy, Modern Life, and Science Fiction and the Future) and Core Rules. The first section of the Guide serves to introduce the concepts underlying Cortex Plus and it’s Action, Drama and Heroic variants then expands into the various ways of hacking the system. If you’re new to Cortex Plus or hacking systems in general then this is perhaps the most important section of the book, as it not only introduces the basic mechanics of the system but explains logic behind them in a setting neutral manner, aiding you in choosing which of the system variants will be right for your game. Following on are chapters on hacking stress and timed actions, a system for generating random features on the fly and finally chapters focused on learning the Drama variant of the game (which is the most complicated due to it’s use of the pathways map). Overall this is the section of the Guide that I found most useful and I’d have liked to have seen it comprise a great proportion of the overall page count than it does. The Hacking Stress chapter was of particular value in prompting the would be hacker to think about the logic behind a change and highlights the fact that often simply picking the right name for a stress (for example a spy game might have a stress called paranoid) is often more appropriate than trying to introduce a new related mechanic. Moving on from the overview and general hacking are the three Game Hack sections, which provide a range of example games that can be achieved through hacking the system. The hacks presented are, in my opinion, a mixed bag. Some provide a good example of innovative ways to use Cortex Plus but a few come across more as ‘here’s how you can run my home game’ without any explanation of why a certain mechanic has been altered. In addition the examples presented are overviews, with a limited amount of space devoted to each none can go into extensive detail and the majority spend a large portion of that space detailing the composition of characters in the given setting. After the first few examples this does feel a tad repetitive. My recommendation to anybody looking to use this section of the book is to view it in one of two ways. First, if one of the examples closely fits the game you wish to run then use the material presented here as a very loose foundation, that will need to be shored up by details of your choosing. Second, if none seem to fit what you want to do, use these as very loose examples of what you will need to think about for the start of your game before making more extensive use of the core rules presented section of the Guide. The final section of the Guide is something fans of Cortex Plus have been waiting for since Leverage was first published, generic setting neutral rules for the three variants which can be used as the building blocks for your own game. These cover pretty much everything that you could need for running Cortex Plus and include all of the material that you’d typically find in the rules and GM sections of a typical rule book. About the only thing that is absent is an extensive list of generic talents / abilities / pathways etc however, examples are provided for each in addition to notes on how to make your own. It’s worth noting here that the Heroic variant presented is Fantasy Heroic and thus not completely generic though the use of a limited setting does mean that there are more details provided for this variant than for Action or Drama. Before I finish this review I want to just cover the non written aspects of the Guide. As you’d hope from a company with the experience that MWP has the book is professionally laid out, visually clear and easy to follow with each of the sections and chapters clearly defined along the edge of each page. The PDF version is well bookmarked, down to the level of subsections within each chapter and unlike some gaming PDFs I’ve look at recently the addition of notes or highlights haven’t been locked; given the aim of the Guide I expect it’ll be something that I highlight and annotate extensively. Visually perhaps the most disappointing aspect is the artwork, which appears to have been sourced primarily through stock photos and is used rather sparingly throughout the Guide. Overall the Cortex Plus Hacker’s Guide is definitely something that I’m glad I backed and that I’ll make use of personally. The Guide is aimed squarely at those that who want to tinker with the system and is, therefore, of limited wider appeal. I’d recommend it to those already familiar with the Cortex Plus system, if you’re new to the game however I’d suggest picking up one of the main rulebooks first before purchasing the Guide. Going off of a recommendation from a friend I recently picked up the new (well last years) Judge Dredd movie and to my surprise I not only enjoyed it but found myself rewatching it the next evening. The reason for that, I think, is the movie hits pretty much every aspect of the dystopian cyberpunk genre and does so without compromise. From the outset Mega-City One is presented as a violent, brutal and uncaring place to live with the focus firmly centered at street level. Dredd himself is presented as an unflinching enforcer of the law and while much happens over the course of the story (which comes across as a typical day for Dredd) no attempt is made to humanise him or to develop his character. He is the epitome of a faceless system where citizens are little more than numbers in the dataflow and as such makes the perfect counterpart to the rookie Judge Anderson. Until I picked up on this line I had initially been thinking along the lines of fairly traditional cyberpunk RPGs, where the PCs are often tricked out killing machines with hundreds of options at their fingertips. The issue with this thinking though is that in each of the games I’d looked at combat becomes a central focus, requiring multiple turns, complex tactical choices and generally only allow for each PC to engage a single enemy with any given action. None of which is keeping with the feel of Dredd, where most of the fight scenes are over in seconds, with a dozen or so enemies felled before they even get a chance to act. Fighting, while an integral part of the movie, is also incidental. It has to be when the Judges are so highly trained, which is also why the longest fight scene sees Dredd facing off against a handful of corrupt Judges. Even the final confrontation with the drug baron Ma-Ma (brilliantly played by Lena Headey) is brutally direct and short, ignoring the Hollywood desire for a drawn out climax. So given all this how would I run a Dredd as a tabletop game? Primarily by avoiding making combat the focus. PCs would still be nigh unstoppable killing machines thanks to Judge (or Judge like) training but the combat itself would be short, fast and brutal with a focus on the consequences. Mechanically I can think of a number of systems that could achieve this but my personal choice at the moment would be a tweaked version of Cortex Plus, incorporating aspects from the Action and Dramatic variants. Why? Most importantly the system already allows for extremely quick combats, which can be completed in as little as a single roll while entire groups of enemies can be represented by a single die (and therefore taken out in a single action). Despite this the system also scales well, incorporating NPCs capable of individually challenging the PCs without any trouble. The second reason is the flexibility of the system which is easily modified to suit the needs of an individual genre or setting, as demonstrated by the success of the Cortex Plus Hackers Guide. With that in mind it would be relatively easy to incorporate all of the required aspects into the game, such as Distinctions that encouraged Dredd to be heartless or even introduced additional Trouble / Complications when he wasn’t. Likewise Anderson’s psychic abilities could be easily represented and triggered through use of plot points while her compassion could also be designed to earn her plot points when it made her hesitate in carrying out her duties. For a game with only two players it would even be possible to design Distinctions which played off of one another, with plot points flowing back and forth between the players instead of player and GM. Savage Worlds is currently one of the most popular systems available, having seen a rapid rise in popularity since its release. Partially that’s down to the cost (the explorer’s edition of the core rulebook comes in at under £10), the wide range of available settings (central to which is the rebooted Deadlands setting) and the ease with which the system can be picked up. All in all it’s a good system but having now had a chance to play it I’m slowly coming to the conclusion that it’s not a system for me. Before I continue I will point out that I’ve played the game extensively, to date I’ve run it once, played in a couple of one shots and most recently just finished playing in the first part of a Deadlands Noir campaign (which will be shifting to Cortex Classic when we resume it). It took all of that for me to get a proper feel for the system, and then work out what bugged me about it and in the end it came down to two interconnected issues. One of the central tenets of Savage Worlds is that the basic target number for any action is 4. Apart, that is, from when it isn’t. Rather than having suggested difficulties Savage Worlds relies heavily on situational modifiers that can greatly raise or reduce the difficulty. On it’s own this isn’t a massive issue, the problem is that the numbers seem to vary so significantly that I just can’t get a handle on working out what I need to roll. Now part of this could be alleviated by the GM stating in advance what the difficulty is but even having that knowledge would only partially help. The reason it would only partially help is that once target numbers get above 8 (which seems to happen fairly regularly) most characters can only succeed with the aid of an exploding die. And once explosions become a requirement rather than a bonus I (personally) just can’t keep track of my chances. My issues with combat in Savage Worlds are mostly a continuation of of the target number four problem, complicated by the Shaken mechanic. The target number issue is as before, however, in combat target numbers seem to soar even higher. Parry, the “to hit” target number typically ranges from 4-8 (the highest in the Deluxe rulebook bestiary is 9) before inclusion of any modifiers but it’s toughness where the numbers get silly, with values often into double figures. That this can then be boosted by armour and that initially you need to get 4 higher again in order to cause a wound rather than a shaken result just takes the piss. As a gamer with an interest in game design I suspect that this was a deliberate choice, meant to emulate pulp action scenes. For example take Indiana Jones, when he gets into a brawl with a tough opponent he lands plenty of blows that do nothing (hitting but failing to beat the toughness) before landing a few spectacular punches that floor the opponent. In a movie this works, in a game it’s just frustrating to land the attack then be told you’ve not done any damage. I mentioned shaken being another bugbear of combat in Savage Worlds. This is a much simpler issue, being shaken takes reduces player involvement by preventing them from taking actions and players who can’t do anything get bored. Once again I understand the desire to emulate the genre but it just doesn’t translate into a workable mechanic. I suspect next time I run Savage Worlds I’ll house rule Shaken, turning it instead into a -1 or -2 penalty, that way players still have a chance to do something useful on their turn. So there it is, my issues with Savage Worlds. 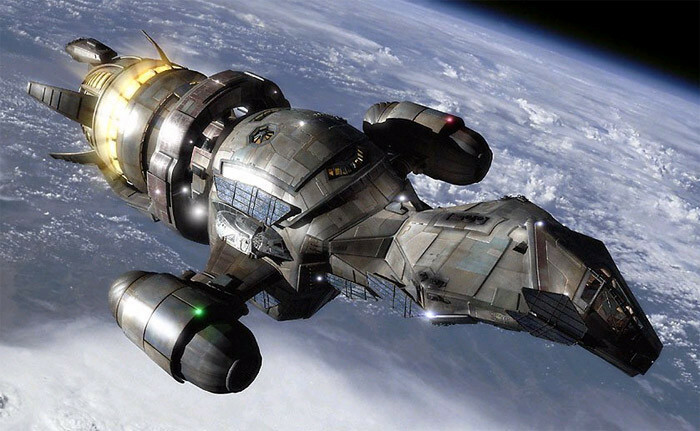 They’re not big issues and certainly not ones that would prevent me from ever playing the system again but for the moment I’ll be heading back to Cortex, simply because it’s a system I grok.